Glens Trail 1.8 C 2 Glens Trail, across Front Street from the main lot, offers views from the edge of the Cuyahoga River. Springs flow from the ledges along this trail, providing water needed for liverworts. 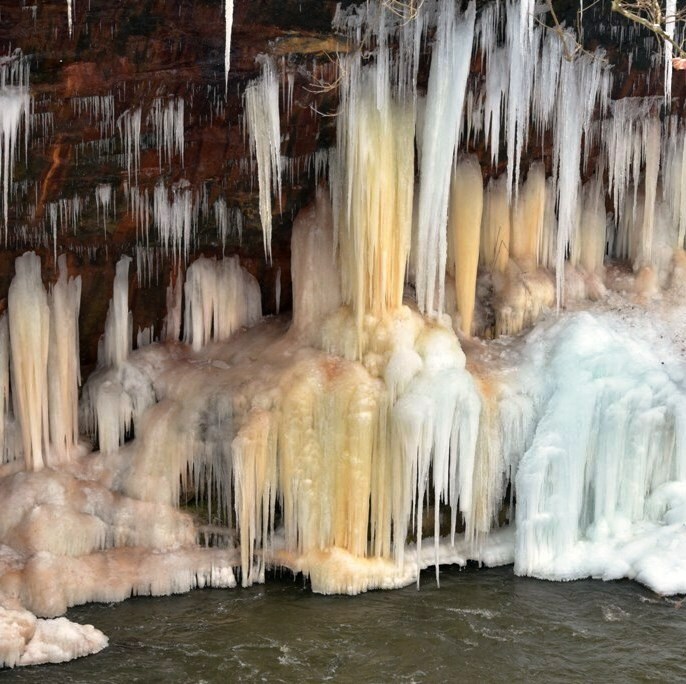 Frozen icicles in the winter create a “crystal palace” on the gorge walls. The trail is 1.8 miles round-trip. 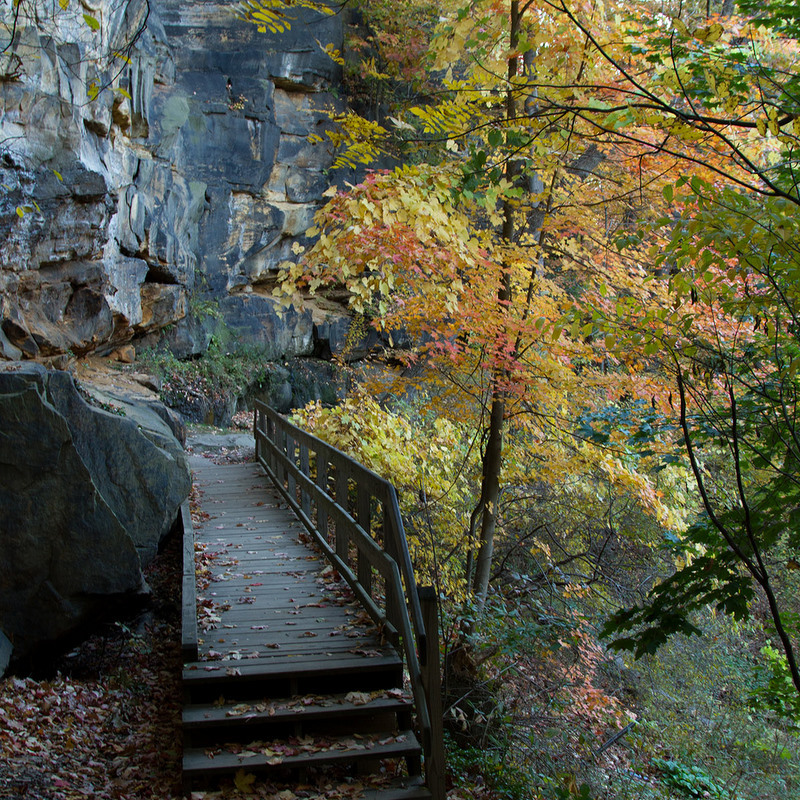 Gorge Trail 1.8 B,C,D 3 Gorge Trail provides access to Mary Campbell Cave, an easy half-mile walk from the parking lot. 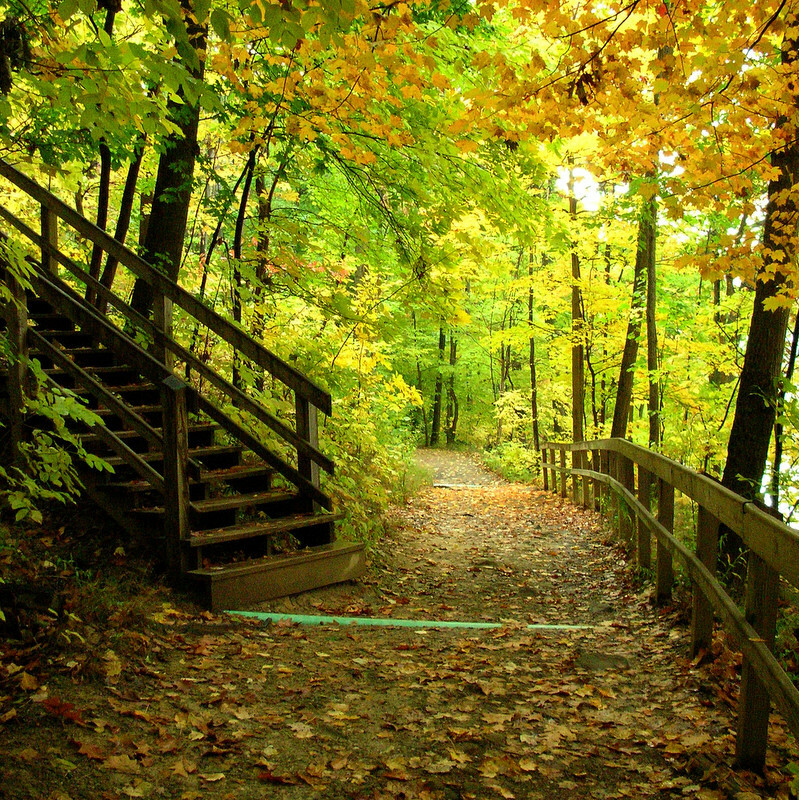 At the start of the trail, a short half-mile, round trip section earns Class B status and is good for users with wheelchairs, walkers, canes and strollers. 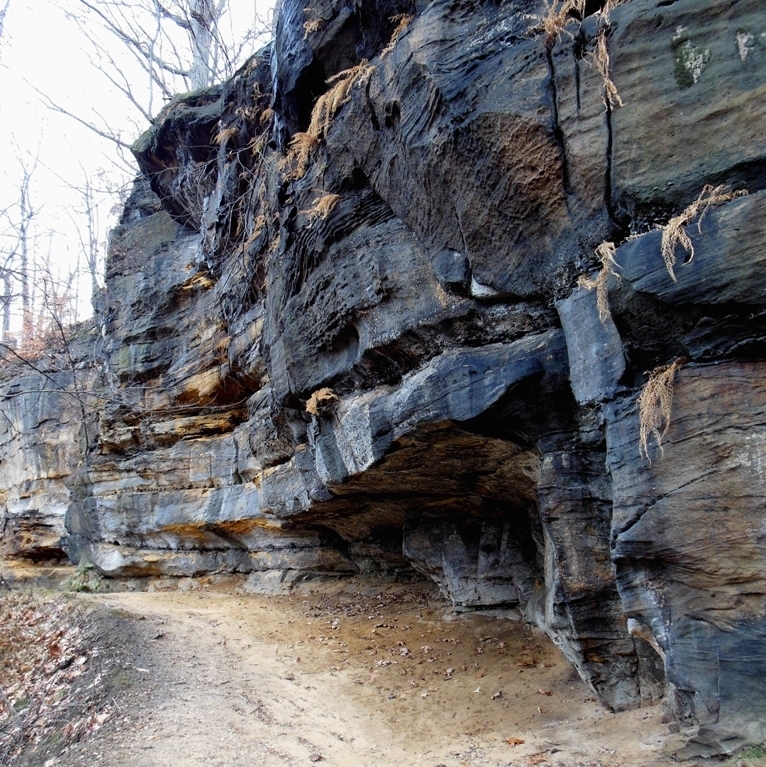 The trail quickly becomes more rugged as it passes through stunning rock-ledge formations. 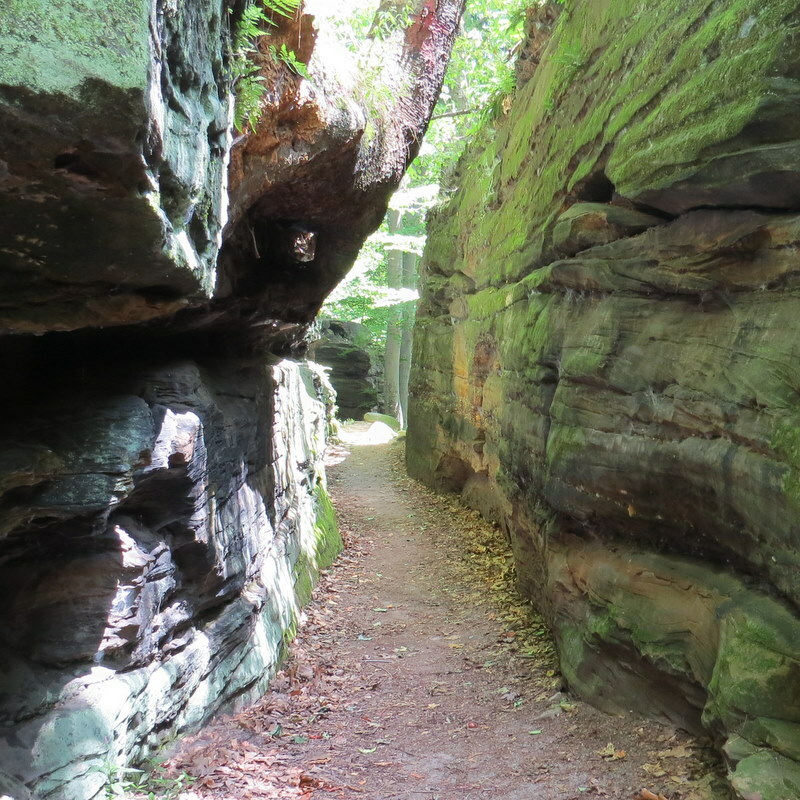 The upper section of the trail is considered "primitive," earning a Class D status. 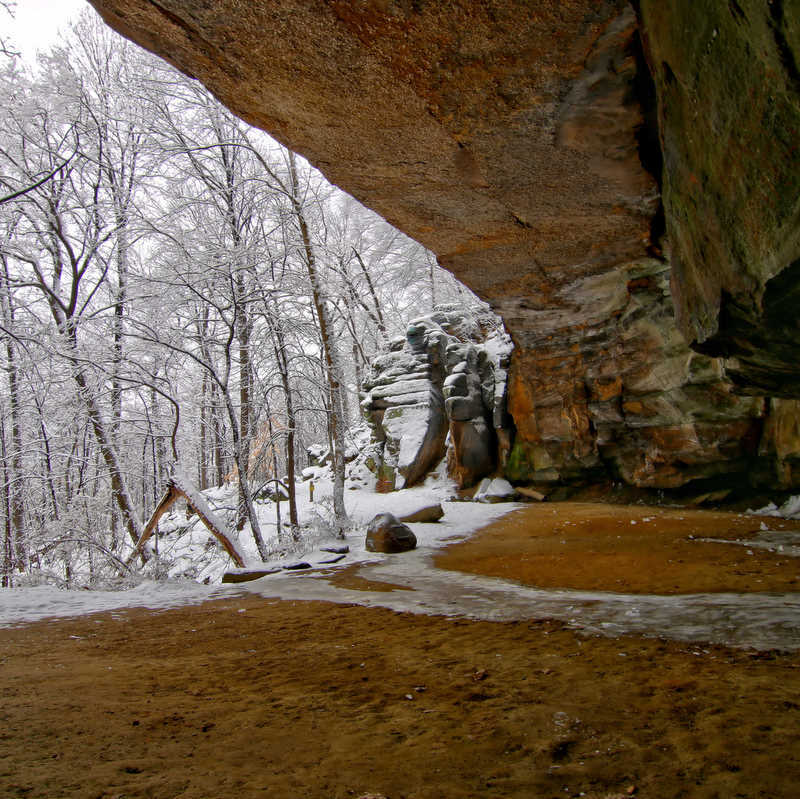 In 1759, a 12-year-old girl was captured in Pennsylvania by Delaware Indians and reportedly brought to a cave in present-day Gorge Metro Park, where she lived as a child of Chief Netawatwees. Young Mary Campbell, for whom the cave is named, became the first white child in what would become the Connecticut Western Reserve. Mary later settled with the tribe in a village along the banks of the Cuyahoga River, not far from the cave. She was released in 1764 after a treaty ended the French and Indian War. 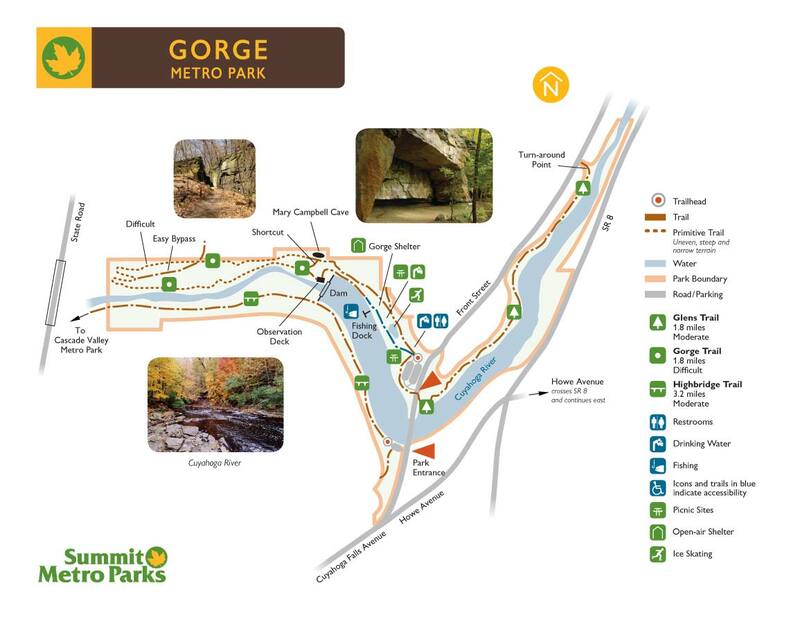 Thousands of years before Mary's adventures, the Gorge was cut when glacial debris blocked the former route of the Cuyahoga River (near present-day downtown Akron) and caused the river to find a new course. 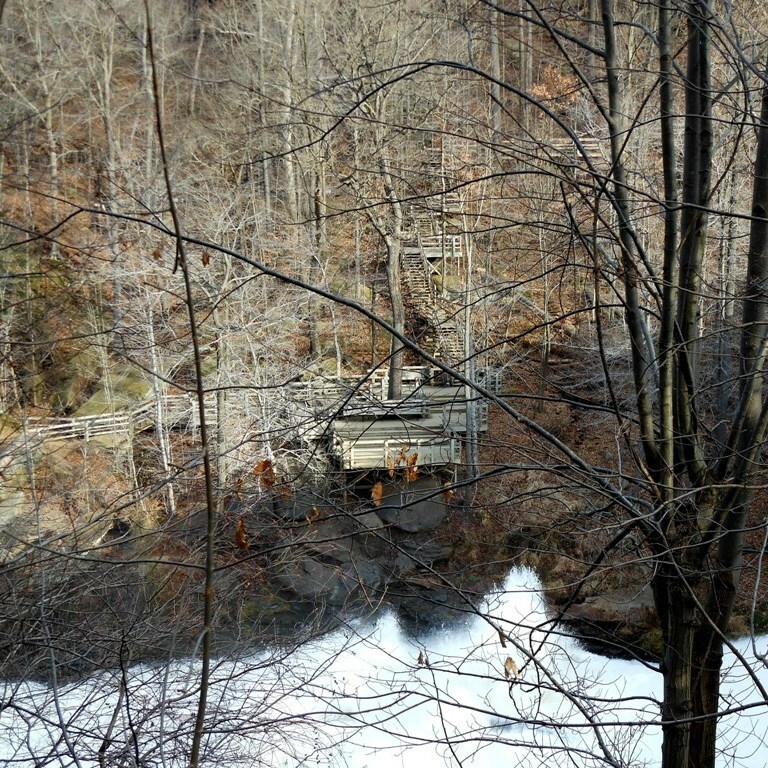 Today, the rushing water flows over a shale riverbed, between ledges made of Sharon conglomerate sandstone. Oak, blackgum, tulip and yellow birch trees are common in the woods that cover the valley walls. 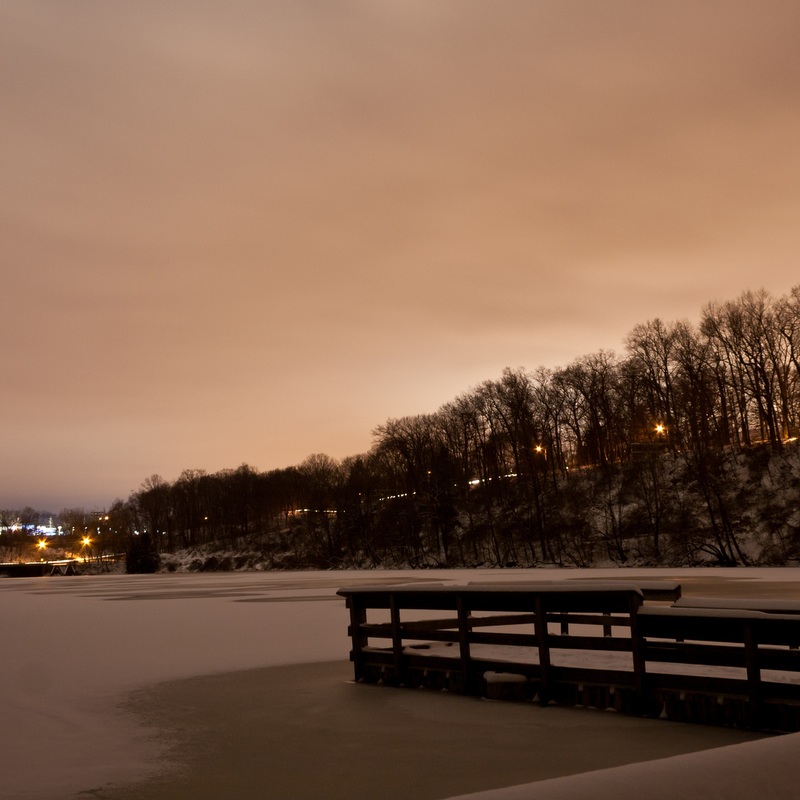 In 1930, the Northern Ohio Traction & Light Company, the predecessor of Ohio Edison, donated 144 acres of this land to Summit Metro Parks. 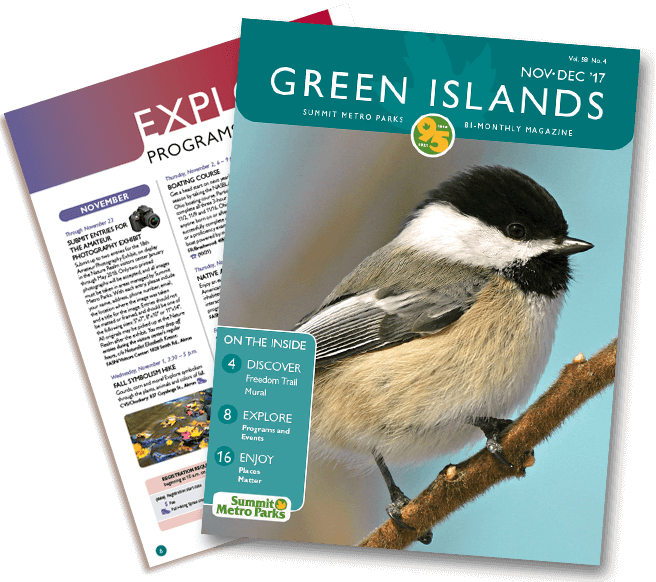 From the 1880s until then, the area hosted parks of a different sort – the High Bridge Glens and Caves and Riverview amusement parks, both of which featured a rollercoaster and dance hall.